Manchester bomber Salman Abedi bought most of the components used to make the bomb himself, police have said. Many of the suicide attacker's movements and actions were "carried out alone" in the four days prior to the attack, Russ Jackson, head of the North West counter terrorism unit, said. Officers earlier cordoned off a street in the Rusholme area of Manchester where a property was being searched. Greater Manchester Police asked members of the public to avoid Banff Road, after the latest in a series of raids linked to their investigation. Three men arrested over the 22 May attack were released without charge on Tuesday. One more person was released on Wednesday. Det Ch Supt Jackson said much of the police investigation had been working through Abedi's last movements. 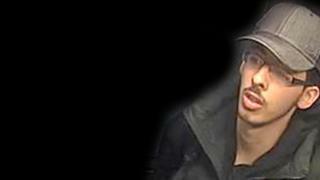 "Our enquiries show Abedi himself made most of the purchases of the core [bomb] components and what is becoming apparent is that many of his movements and actions have been carried out alone during the four days from him landing in the country and committing this awful attack," said Det Chief Supt Jackson. However, it was "vital" that police make sure he is not part of a wider network and there were a "number of things" about this behaviour that were a concern, he added. Det Ch Supt Jackson said police were keen to find out why Abedi kept going back to the Wilmslow Road area of the city and wanted to find the blue suitcase he used during those trips. A total of 16 people have been arrested in connection with last Monday's attack. Six have been released without charge while 10 are still in custody. The police investigation has moved into a different phase, with detectives trying to bring the various strands of information and evidence together to build a case against Salman Abedi's alleged co-conspirators. Not surprisingly, some of those arrested in the flurry of police activity have been released without further action, and others may follow. There's a big difference between the "reasonable grounds of suspicion" required to detain someone and the "realistic prospect of conviction" needed to charge them. What's slightly confusing is that investigators now say they can't "rule out a wider network" whereas last week they spoke with near certainty about Abedi being part of a network. The impression is there are still gaps in the police's understanding of what happened in the days and weeks before the atrocity. Every police force in the UK has assisted in some way since the terror attack in Manchester, according to the National Police Chiefs Council. Twenty-eight forces, as well as the National Crime Agency, have been helping police in Manchester on their investigation and the response to the bombing. Det Ch Supt Jackson said police have made "huge progress" in the week since the attack but it will "take considerable time before we fully understand what has happened". Twenty-two people were killed and many injured after the bomber carried out an attack following an Ariana Grande concert. The singer will be joined by the likes of Coldplay, Justin Bieber, Katy Perry and Take That at a benefit concert for victims on Sunday. 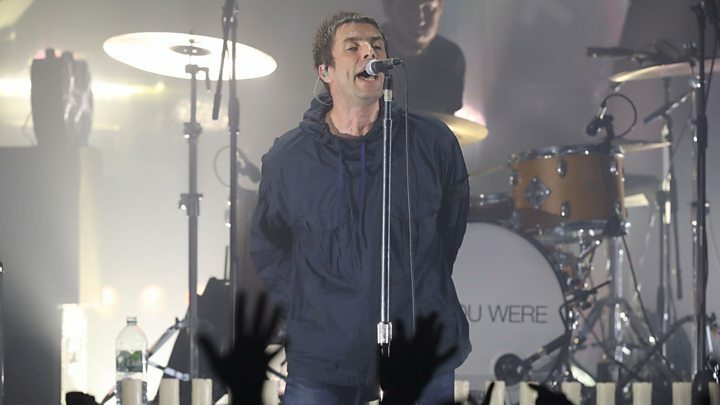 Meanwhile, Liam Gallagher played his first solo gig in Manchester on Tuesday night, with the proceeds also being donated to the victims of the bombing. He applauded as heartfelt cries of "Stand up for the 22" rang out from the crowd in reference to those killed.